If you think Oprah, J. K. Rowling and Bill Gates are tenacious they have nothing…I repeat…NOTHING on Mr 3. I have super high hopes that he will be an amazingly successful human being…if only he can get through the day without spending some of it in timeout. Ahem. Last week he was having a particularly difficult day. And after treating us to a tantrum and related whinings for over AN HOUR AND A HALF we needed a reset. Badly. And one thing he does love to do is bake. But I had no will power for anything complicated at all. 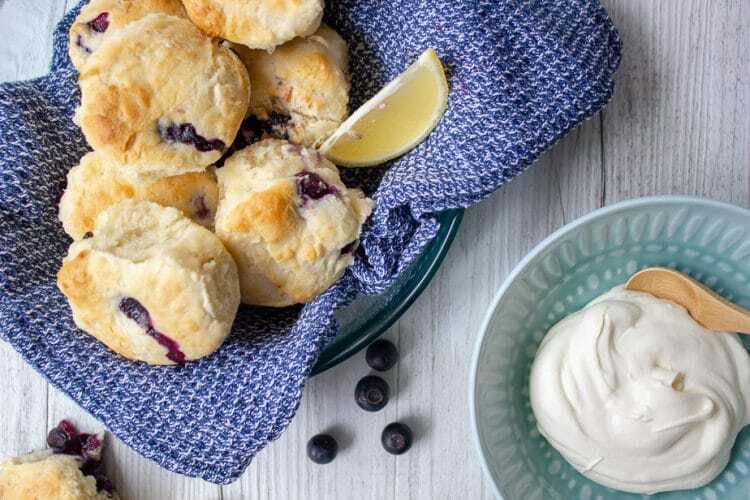 So Blueberry and Lemon Scones to the rescue. 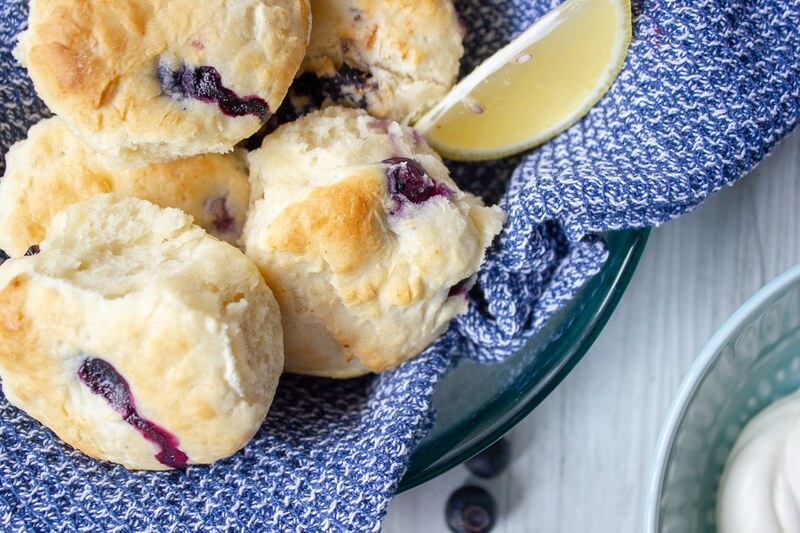 These Super Easy Blueberry and Lemon Scones are exactly that. Super Easy. 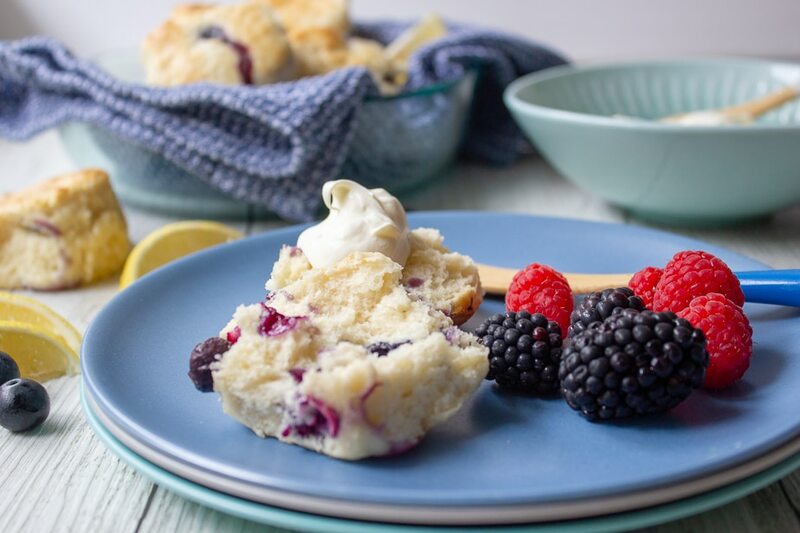 The scone base is just three ingredients, self raising flour, cream and lemonade. And the kids love making them. 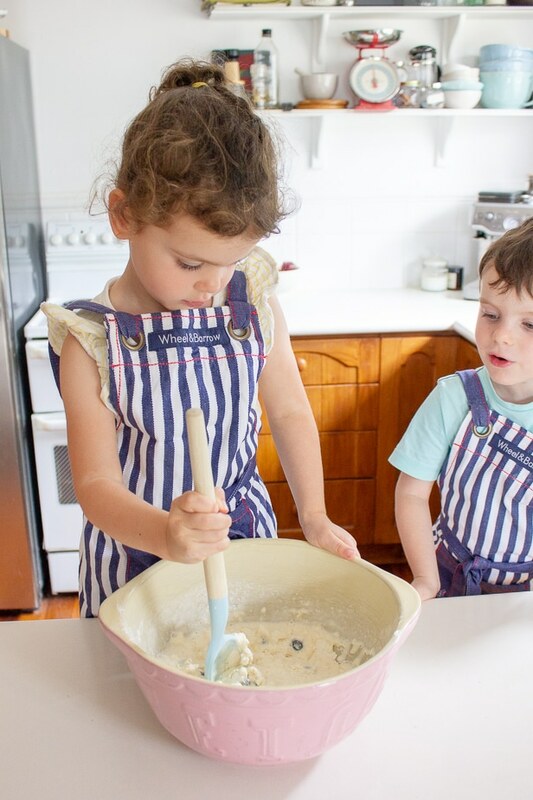 I loved watching their faces when the lemonade fizzed as it was poured it into the mixture. 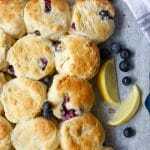 The first time I made a variation of these simple scones was years ago when I was in uni. I used to visit an elderly neighbour, Lorna. She always had something yummy baked when I came to visit and I loved her scones. Before I tried Lorna’s scones, I really did not enjoy them. They were always that little too dry. But not Lorna’s. They were so light and delicious and this recipe is based on how she taught me to make them. If you really don’t want to use lemonade you can use soda water as a replacement and I do this for for savoury scones. But these are designed as a sweet scone and there is only an estimated 2.4g of sugar per scone. Love blueberries? Try these delicious Pear Blueberry and Ginger Muffins or these Apple Blueberry Pancakes. 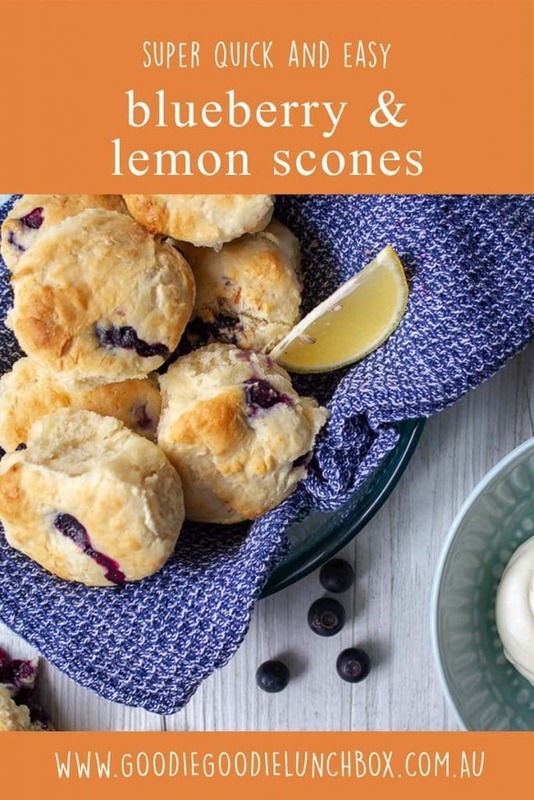 As always if you make these please delicious and easy scones please share your pictures with me on Instagram or Facebook, I love to hear from you! Lovely recipe! Going to try in readiness for my daughters birthday afternoon tea. Do you think you could freeze these? Perfect for weekend Snacks! Thanks for sharing…. Is their an alternative to using lemon aid ?